Wireless charging seems to be quite a concern for a number of fields these days, not just for smartphone makers. Car makers are interested in transferring energy from a charging device to the battery without having to use a physical connection, to make living with electric cars even better. One of the manufacturers that has been pushing hard towards this goal was and still is BMW. As a result, the new 5 Series plug-in hybrid will be available with a wireless charging system from 2018. 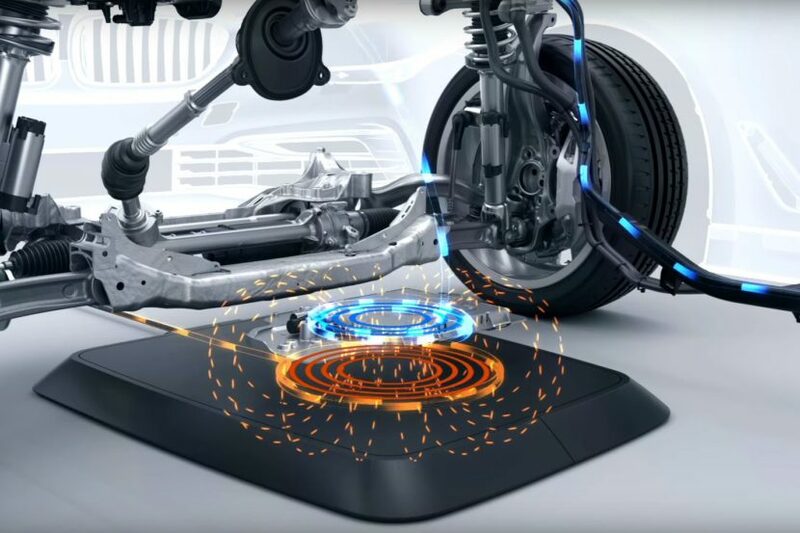 The system works just like any other wireless charging solution on the market, consisting of a base pad with an integrated primary coil – which can be installed in a garage, for example, but also outdoors – and a secondary coil integrated in the underside of the vehicle. An alternating magnetic field is generated between the two coils, through which electricity is transmitted without cables or contacts at a charge rate of up to 3.2 kW. This form of power supply to the high-voltage battery involves a charging time of around three-and-a-half hours. The BMW 530e comes with a 9.2 kWh battery and it’s supposed to offer a pure-electric range of around 29 miles according to the Germans which translates to about 46 kilometers. Of course, whenever you run out of juice, the 2-liter 4-cylinder turbocharged petrol engine under the hood can take over and your range is basically only limited by the amount of gas you have in your tank. That’s not the point though, as this video shows that BMW is serious about implementing such solutions for its cars, to make sure its customers have a convenient way of charging their cars. It is expected that more cars launched later down the line by BMW, either fully electric or hybrids will adopt the same technology, to make sure the customers have a seamless experience. The biggest problem remains the fact that you do have to install a coil in your garage and the cost for such an installation might be quite high, even though the Germans were tight lipped about exact figures so far. Once the system becomes available as an optional feature for 2018 5 Series models we’ll surely have a price tag for all the parts involved as well.